Temple Newsam House, near Leeds is Tudor-Jacobean. The earliest part dates from the 1500s when it was a four sided manor house built by Thomas Lord Darcy. Darcy was beheaded in 1537 for his part in the Pilgrimage of Grace – the revolt against Henry VIII’s closure of the monasteries. 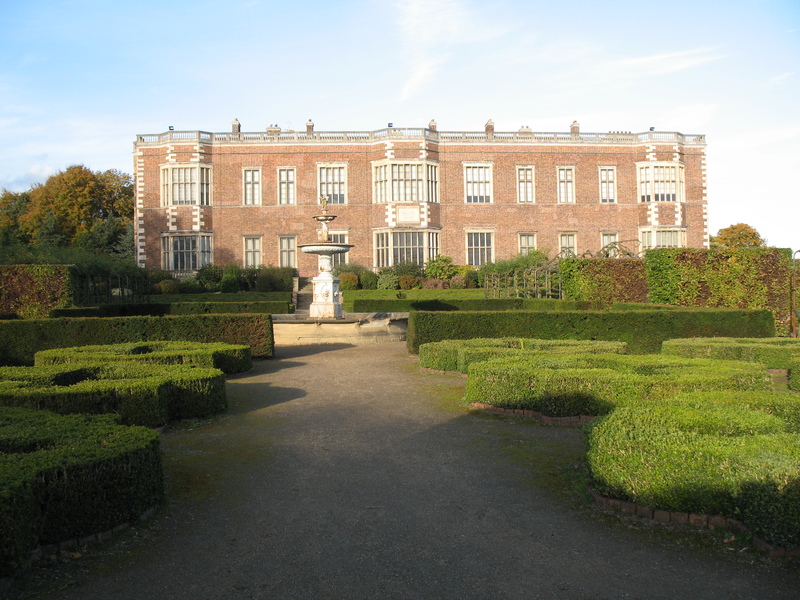 His properties were forfeit and Temple Newsam was given by Henry VIII to his niece, the Countess of Lennox. Her sons Henry Lord Darnley and Lord Charles Stuart were born and brought up here. Darnley went on to marry Mary, Queen of Scots and was subsequently murdered. Elizabeth I seized Temple Newsam, imprisoned the Countess of Lennox in the Tower of London, and the house became the property of the crown. But it is the earliest history of the site which has an especial interest for me. The manor of Newsam is recorded in the Domesday Book as belonging to Ilbert de Lacy. 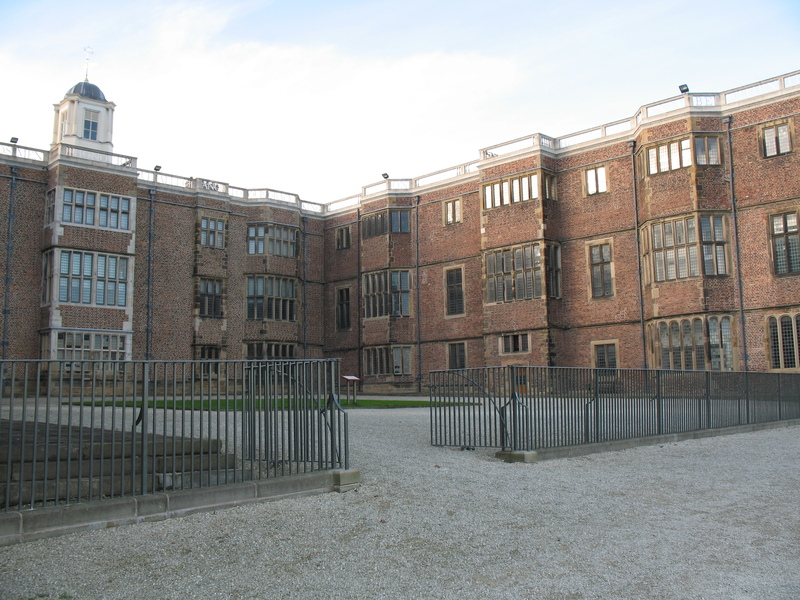 In 1155 land at Newsam, Skelton, Colton and Whitkirk was given to the Knights Templars by Henry de Lacy “for the salvation of my soul” and a preceptory was built at what was from then on called Temple Newsam. A preceptory was a combination of a monastery and a farmstead where knights came to learn to fight as well as to pray. In Yorkshire, the Knights Templars became farmers, generating great wealth which sustained their work in the Holy Land. During excavations at Temple Newsam in 1991, archaeologists found the foundations of a huge barn about 150 feet long. They also found a number of pits. Some may have been for freshwater fish and others had been used for tanning animal skins. There were a variety of land types within the whole area which consisted of woodland, arable land, meadows, pastures and the riverside. As time passed the Knights Templars became increasingly rich and powerful and their secret rites were shrouded in mystery and intrigue. It was rumoured that they were the guardians of the Holy Grail. In 1307, Philip IV of France decided that they were dangerous. He accused them of heresy and immorality and on Friday, 13th October that year he ordered every member of the Knights Templars in France to be arrested. He called on other countries to do the same, but in England, Edward II refused, saying that the Templars had not broken any laws. But the pope threatened Edward with excommunication and eventually he was forced to obey. In 1308 Sir John Crepping, Sheriff of Yorkshire, received the king’s writ to arrest the Templars within the county and sequester all their property. Twenty-five men were taken to York Castle where they were charged with heresy, idolatry and other crimes, brought against the order by Pope Clement V and Philip IV of France. After a prolonged trial it was found that the evidence was too flimsy for a conviction. After agreeing that their order was strongly suspected of heresy and other charges, the men, including the last preceptor of Temple Newsam, Geoffrey de Arches, received absolution from the Bishop of Whithern on 29 July 1311 and were released from prison to join various abbeys in the area. Meanwhile, in France, the arrested Templars were burnt at the stake. As an addition to this post I now have some extra information about Edward II’s treatment of the Templars from a friend who has done a huge amount of research about him. I don’t know why it’s so difficult to find the inscription on the top of Temple Newsam, so thank you for posting this. Also, thank you for the additional detail regarding its Knights Templar connections. Great stuff!! Great post, Elizabeth, and thanks for the link!